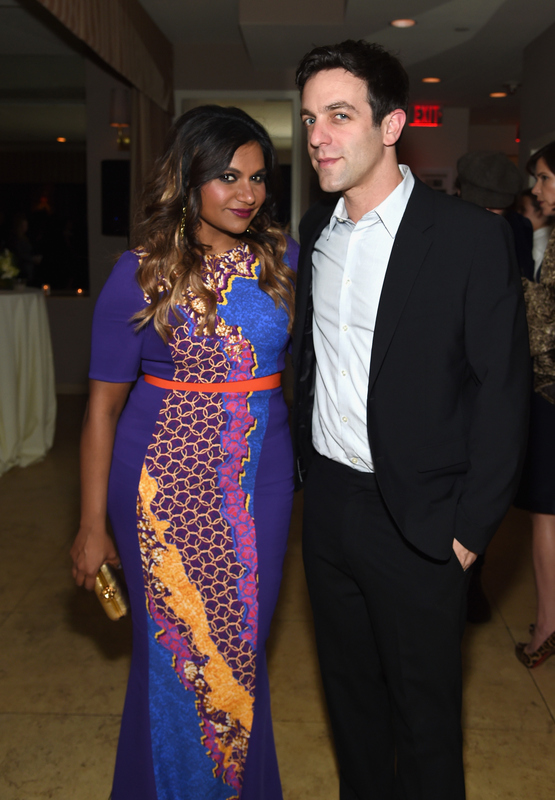 If you're a fan of The Office, then you probably know that Mindy Kaling and B.J. Novak are real-life friends — plus, they even dated, just like their characters, Kelly Kapoor and Ryan Howard, on the NBC comedy. However, did you know that Kaling and Novak are pretty much the real-life versions of their characters? Kaling opened up to InStyle about being friends with and once dating Novak. The Mindy Projec t star and creator (*fingers crossed* her FOX comedy returns!) defined their relationship in an interesting way — and definitely not how I expected. I will freely admit: My relationship with B.J. Novak is weird as hell. He is not my boyfriend, but he is not my best friend. I guess you could describe our relationship as a "romantically charged camaraderie with loud arguments," but I don’t think Facebook would accept this as a new status. Is that how you thought Kaling would describe their relationship? Me either. I always thought it was: "Yes, we once dated and now we're BFFs." It doesn't really matter, because I still adore these two on and off the screen. Plus, Kaling's description made me realize how much she and Novak are exactly like The Office 's Ryan and Kelly. Who's with me? How many times did Ryan and Kelly demonstrate a "romantically charged camaraderie with loud arguments"? Um... all the time. Need a refresher and/or proof that I'm absolutely right that Kaling and Novak = Kelly and Ryan? Here are a few times Ryan and Kelly definitely fit Kaling's definition of her relationship with Novak. See? Kaling and Novak = Kelly and Ryan.